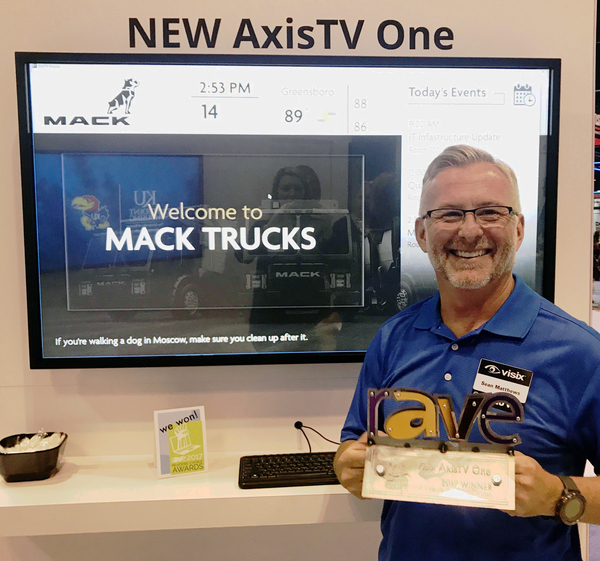 The AxisTV one application from Visix, Inc. has been named Best Digital Signage Software in the rAVe Readers’ Choice Awards. ATLANTA, GA June 20, 2017 /24-7PressRelease/ — The AxisTV one application from Visix, Inc. has been named Best Digital Signage Software in the rAVe Readers’ Choice Awards. Nominations for the awards came solely from the AV community, and winners were chosen by 86,126 voters in 47 countries. AxisTV One digital signage software is the first product from Visix’s new Signage Suite platform. It is designed for a single user, allowing for centralized content design and management. For more information about AxisTV digital signage software, visit http://www.visix.com/products/digital-signage-software/. For a full list of rAVe Readers’ Choice Awards winners, go to http://www.ravepubs.com/2017-readers-choice-award-winners-announced/.